BETTY WHITE is one of the hottest things going right now--and no wonder! Just look at her fashion sense. 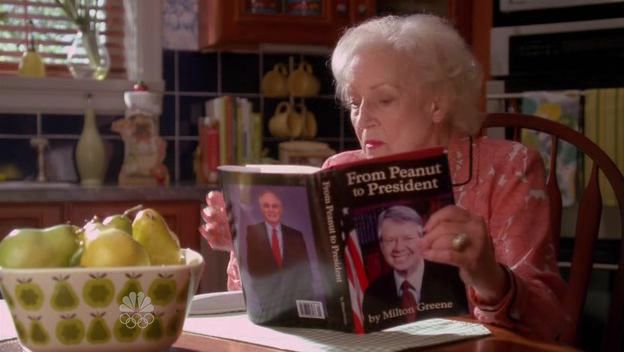 Our crew caught her reading FROM PEANUT TO PRESIDENT, about some dude. With a picture of some other dude on it. Whatever. BETTY WHITE!